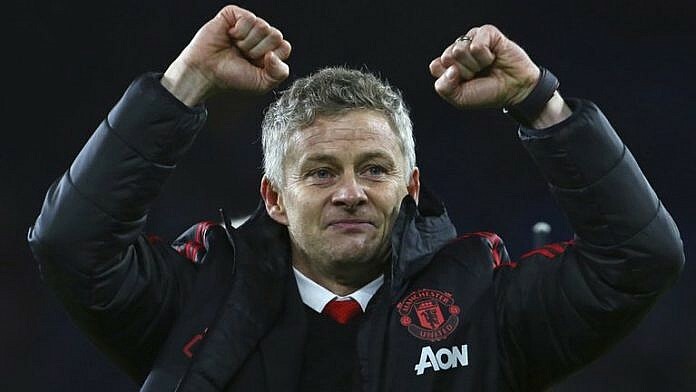 Òtù egwu bọọlụ Manchester United nọrọ taa họputa Ole Gunnar Solskjær dịka onye ndụ òtù egwu bọọlụ ahụ n’uju. Ha bịanyere aka n’akwụkwọ maka afọ atọ. Manchester United mere nke a n’ihi na nwaamadị a emeela nke ọma kamgbe ha chụrụ Jose Mourinho ma họputa ya ka ọ na-elekọta òtù egwu bọọlụ ahụ. Ole gbara mbọ ozugbo a họpụtara ya dịka onye nlekọta òtù egwu bọọlụ ahụ ma nweta mmeri ịrị na abụọ na EPL. Nwoke a nwakwara ike ya site n’imeri PSG bụkwa nke mere ka Manchester United banye n’agba nke ọzo nke UCL. Manchester United have confirmed Ole Gunnar Solskjær as the permanent manager on a three-year deal after a successful sting in interim charge. Solskjær was brought in on the interim after Manchester United sacked Jose Mourinho in December. He made an instant impact as a coach with a string of impressive result and went on a 12-match unbeaten run in the Premier League. There was also that thrilling comeback against Paris Saint-Germain which sent them to the quarterfinals of the Champions League. “From the first day I arrived, I felt at home at this special club,” Solskjær said.